International Symposium "Germany's experience with Refugees and the Implications for Japan"
Called the worst refugee crisis since World War II, the Syrian humanitarian disaster has displaced half of the country’s total population of 22 million, and about a third of them, 4.2 million people, have fled to neighboring countries and Europe. International Symposium "Peace and Conflict Research in East Asia and Eastern Europe"
At the symposium, experts discussed the actual tensions and disputes in Europa and East Asia. This symposium served to deepen the network and intensify the exchange on the topic “conflict prevention”. The 14th Forum for "Historical Consciousness and Peace in East Asia"
70 years have passed since the Battle of Okinawa. Until today, the fight against the bases, such as Henoko, continues. 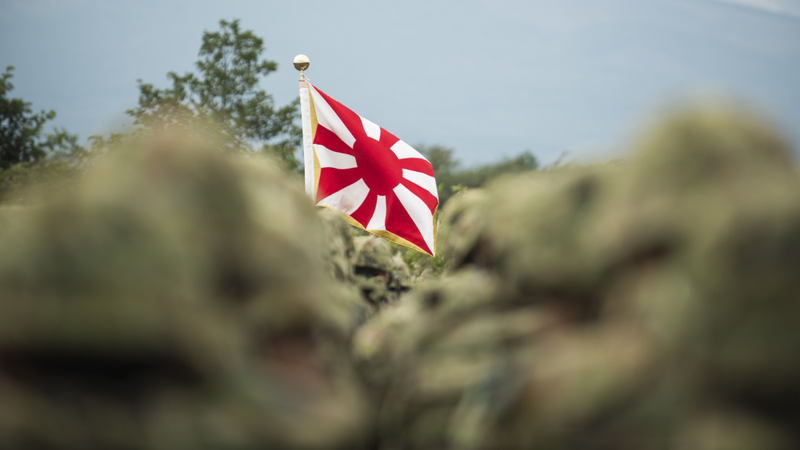 On this Forum, we discuss current issues related to the position of Okinawa in East Asia. During the visit of Matthias Bartke MP, the Japanese-German dialogue on energy policy was deepened. Dr. Bartke met with Diet Members in Tokyo and with representatives of NGOs and concerned citizens during a visit to Fukushima Prefecture. EPRIE is a concept aiming to bring together young scholars and professionals from three Asian and three European countries, respectively. This year’s EPRIE participants have been challenged with many complex abstract ideas. International Symposium "The 70th Annversary of the End of World War II　in Europe"
2015 marks the 70th anniversary of the end of World War II in Europe and in Asia. While the process of European post-WWII reconciliation is regarded as a successful case, progress has been thorny at times and challenges remain. On this symposium, politicians, diplomats, scholars and representatives of civil society in Europe and East Asia discuss a range of topics, including perspectives on reconciliation, the relation between dealing with the past and regional security, the meaning of the commemorations of the 70th anniversary of the end of the war for international relations in both world regions, as well as the state of democracy in Japan and Germany. 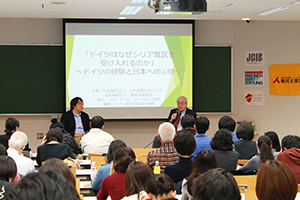 Public seminar "Future of Social Democracy – from the perspective of modern political history of Japan"
Recently, the rights for workers are often neglected, the inequality in the society widens more and more, and the spirit of tolerance is in crisis. From 9 to 12 February 2015, Yasushi Kudo of "Genron NPO", President of a an independent and not-for-profit Japanese think tank, was invited to Berlin for lectures and an intensive dialogue program with representatives of German politics, diplomacy, academia, media and civil society. The Friedrich-Ebert-Foundation and the University of Tsukuba hosted the symposium “Robo-Ethics and ‘Mind-Body-Schema’ of Human and Robot”. Researchers from around the world gathered to discuss the new field of robo-ethics and the related challenges we will need to address in the future. Japan’s refusal of belligerence is a key element of its constitution of 1947, in which the country explicitly revokes the right to wage war. On this basis, in the past the role of Japan's military was interpreted as purely defensive in nature. However, it has remained unclear whether Japan's Self-Defense Forces (SDF) were allowed to join efforts of collevtive security under United Nations guidance. The paper discusses this issue on two fields: Firstly, how can Japan contribute to achieving a global peace based on order ans justice? Secondly, and alternatively does Japan need to abandon the ideal of a peaceful world and, correspondingly, need to revise its constitution? Germany’s ‘Energy Shift’ aims at achieving the country’s goals on climate protection, particularly a significant reduction of greenhouse gas emissions by shifting towards renewable energy production and improving consumption efficiency. 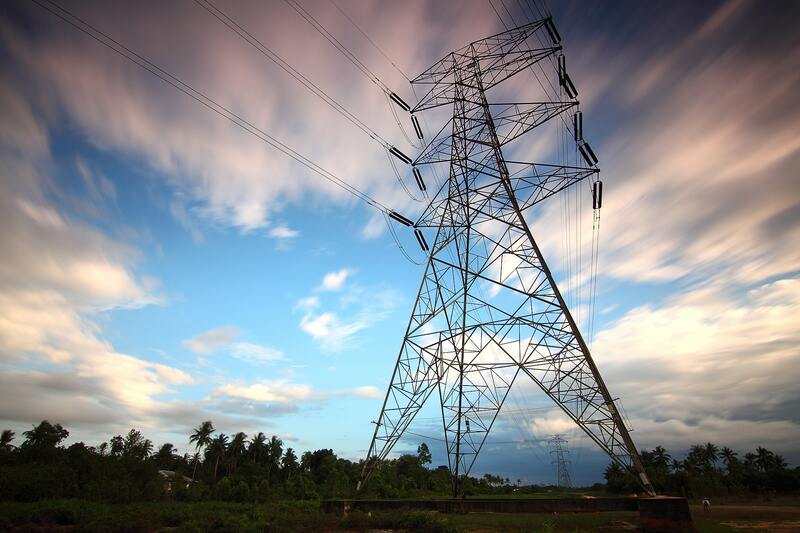 Seeking to provide a broader basis for understanding the policy, this study presents key fields of policy-making within which to realise an 'Energy Shift', as well as many policy options, essential actors and the relevant legal framework. School textbooks are an arena of contesting the past to shape the future, and can be a sign of democracy as well as an indicator of efforts to suppress it. 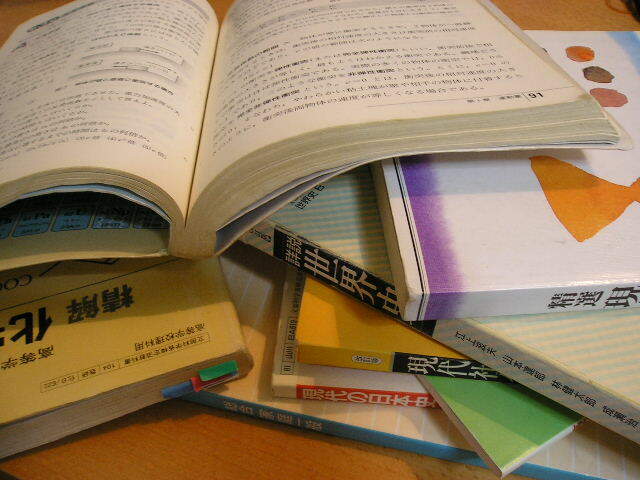 Results of the Japanese government’s school textbook screening show how successful the Abe administration is in imposing its views of controversial issues, such as the ‘comfort women’ and the Nanjing Massacre.